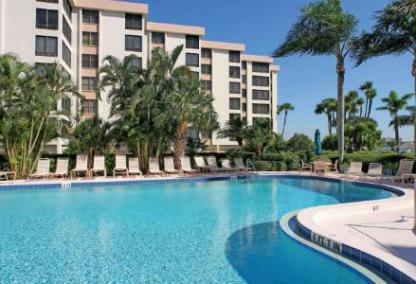 The charming Turtle Bay condominium on Siesta Key is the perfect island escape for a permanent residence or a home away from home. Situated bayside on the southern end of the eight-mile barrier island, Turtle Bay is an ideal choice for those who prefer an more secluded atmosphere with resort-style living. Built in 1980, there are two mid-rise buildings housing eighty-three generously sized condos with an average of 1,400 square feet of living space. Each residence offers well-designed floor plans with two-bedrooms, two bathrooms and a one-car garage. Additional parking is available on the premises. Owners may rent units for a minimum of three months and the on-site leasing office makes doing so quite easy. The rental-income potential for a unit at Turtle Bay is substantial. Turtle Bay's location offers the best of both worlds with beautiful views of the Intercoastal waterway and quick access to the beach. 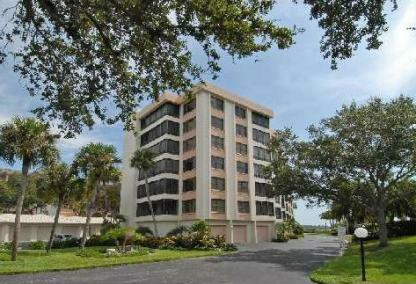 Many units enjoy panoramic views of the Little Sarasota Bay. There are twenty-eight boat docks. Residents and guests may take a short stroll across Midnight Pass Road for deeded beach access to Turtle Beach. Turtle Bay amenities include a large heated pool, three lighted tennis courts, a clubhouse, spa, meeting room, fishing pier, barbeque, and picnic areas. Turtle Beach is one of the top three beaches in the area, beloved for its sloping shoreline, picnic area, horseshoe pit, boat launch, and picnic areas. Turtle Beach is quite popular among shell collectors and is a favorite place for spending a day in the sun among families. A little further north is the secluded Crescent Beach, with its beautiful sand and extremely tranquil ambiance. Many agree that it is one of the locals' best-kept secrets as it offers all of the beachfront splendor of Siesta Key Beach, without the crowd. Consequently, Siesta Key Public Beach attracts visitors from around the world, consistently earning Dr. Beach's award as "Americas #1 Beach" for its pristine shoreline, ninety-nine percent quartz sand, and azure Gulf of Mexico waters. Additionally, the public beach area offers an ample supply of activities and amenities for the entire family, including courts for tennis, volleyball, and basketball, a shaded playground, nature trails, concession areas, a pavilion, barbeques and picnic areas. Turtle Bay is convenient to two commercial districts on the island, the Crescent Village Market and Siesta Key Village. Crescent Village provides a nice selection of restaurants and boutiques as well as a grocery, pharmacy, and post office. For an even larger selection of cuisine and shopping, residents and guests may visit the Siesta Key Village. "The Village" is popular among vacationers and locals alike for its laid-back island environment, abundant selection of restaurants, fun beach clubs, and nighttime entertainment. Turtle Bay is only a short drive from the south Stickney Point Bridge, granting access to the mainland with all its conveniences. Additionally, Downtown Sarasota, St Armand's Circle and Lido Key are all within a twenty-minute drive of Turtle Bay.